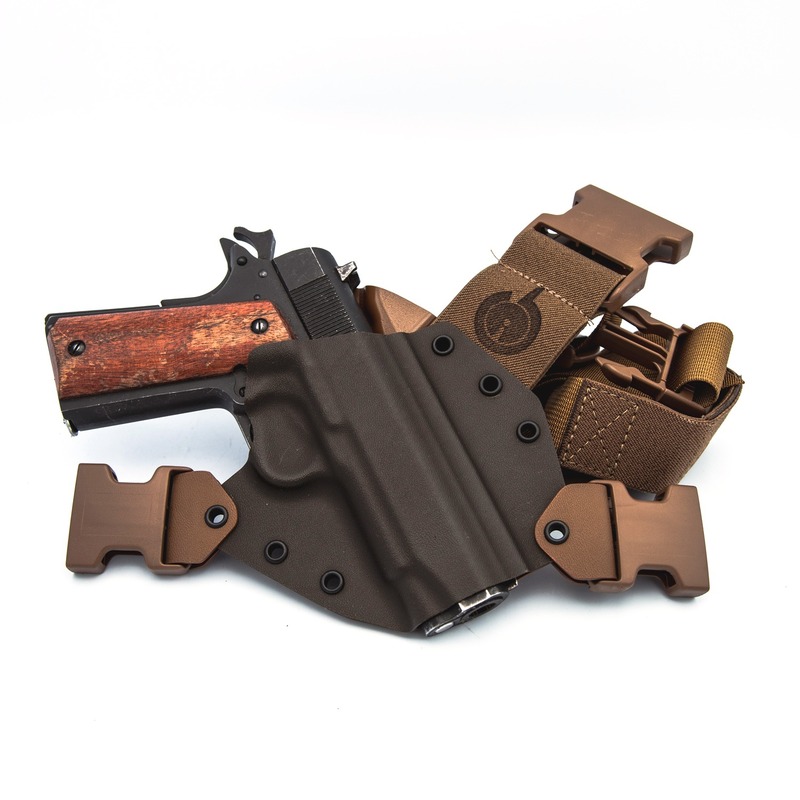 Universal Fit 1911 holster. Fits various Colt, Kimber, and other traditional style 1911s, in barrel length from 3″ to 6″. Barrels over 4.25″ will protrude slightly. 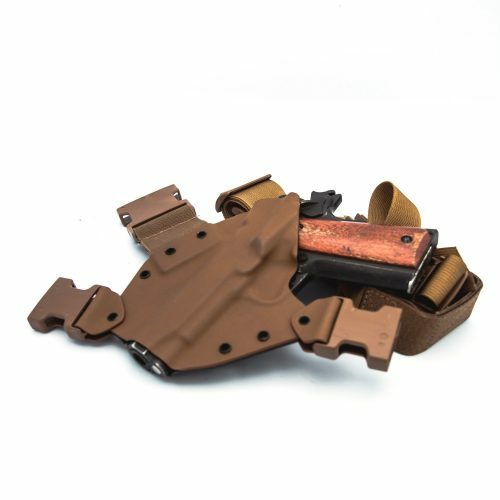 This holster is built on our GEN2 molds. This holster has an open end. The image is picturing a 1911 5″ (Government) model. This holster will NOT fit Sig 1911s or 1911s with rails. This holster is NOT compatible with electronic red dot sights, such as an RMR. If you have any questions on fit, please contact us.